Beach by day. Dance by night. You love to dance and you want it all – the very best of what a relaxing and energizing dance vacation can offer. Enjoy a world-class South Florida beach in the nation’s “mecca” for partner dancing. 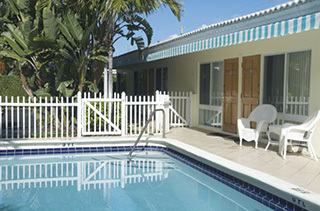 Stay at a comfortable Beach Vacation Rentals cottage or apartment, central to all of the best dancing. Choose among champion dance instructors for private lessons. Go sightseeing in your “off” time. And plan every night of dancing from our complete Social Dance Calendar. This information portal gives you everything you need to create your own fabulous beach and dance vacation! Pick your pace. Show your grace. 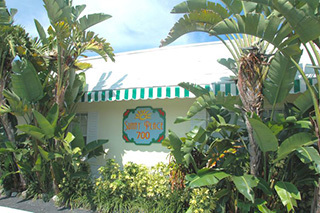 Book your beach-area lodgings central to all South Florida dancing. 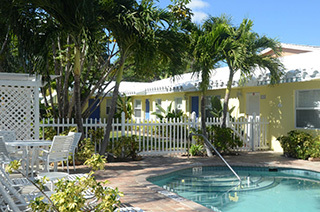 Tropical, well-maintained, quiet studio and one-bedroom apartments around a central pool make up this charming six-unit complex just two short blocks to our award-winning Blue Wave beach. 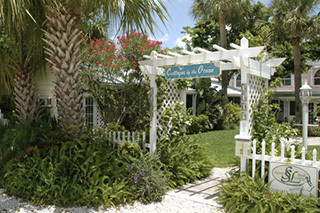 Each restored 1940s cottage has a full kitchen, king or queen bed and sleeper sofa, tropical garden views, large screened-in porches or open patio, BBQ grills, and a central sundeck. 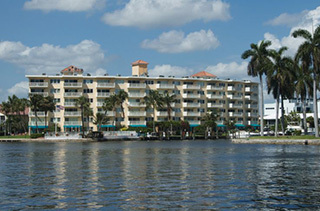 Yacht & Beach Club condo is casual, tropical, carefully maintained and well suited for upscale business and vacation travelers (all apartments are two-bedroom/two bath). 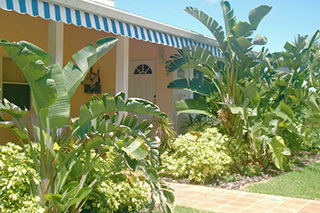 Pineapple Place is a small, well-kept property just across A-1-A Ocean Blvd. one block from pristine, award-winning Blue Wave beaches with lifeguards, a fishing pier and lighthouse. Choose from a studio, one or two-bedroom apartment at Pelican Place, right next door to sister property Pineapple Place. This small, well-kept property is just across A-1-A Ocean Blvd. Tropical, well-maintained studio, one and two bedroom apartments are available in this one-story triplex on A-1-A, one block from pristine, award-winning beaches.